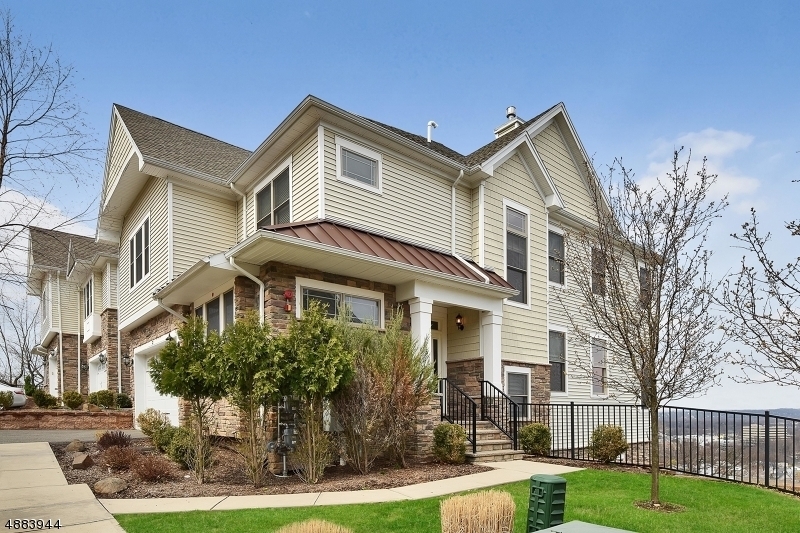 Exclusive luxury end unit townhouse in prestigious Hidden Ridge at North Caldwell. Overlooking the Watchung Mountain range, this home exudes both warmth & elegance at every turn. The first floor layout is a buyers' dream w/open floor plan concept w/ high ceilings, hardwood floors & welcoming foyer w/upgraded slate tile floor. The living room w/ gas fireplace & custom built in cabinetry offers stunning views of the Watchung Mountains.Top of the line kitchen; stainless steel appliances, island w/drawer refrigerator & eating area w/ sliders to terrace. Exceptional master bedroom suite w/ gas fireplace, 3 custom walk-in closets & spa like master bath w/ seamless glass shower & Jacuzzi tub. Amazing lower level; large family room, media room, full bath & 4th bedroom. Bonus sub-basement is perfect for storage.